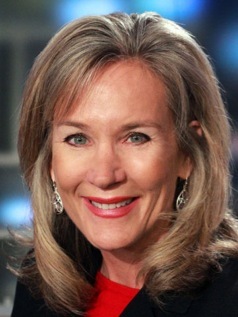 Hard-charging Becky Oliver, longtime featured gumshoe at Dallas-based Fox4, is retiring from the station late this month. Oliver could not immediately be reached for comment, but a Fox4 spokesperson confirmed to unclebarky.com that her last day will be June 29th. She joined Fox4 on March 11, 1991, and her station bio says Oliver has won a total of 20 local Emmy Awards during that time as well as a national Edward R. Murrow Award for investigative reporting. The Northwestern University graduate previously worked at TV stations in Peoria, Illinois and Phoenix before arriving at Fox4. She specializes in consumer fraud, with her stories invariably getting prominent play during ratings “sweeps” months. Oliver’s investigative unit producer, Donna Ressl, retired last week after 19 years at the station. It’s an open question at this point as to whether Fox4 plans to replenish the unit. Oliver’s impending departure leaves Gannett8’s veteran duo of Byron Harris and Brett Shipp as the deans of investigative reporting in the country’s fifth-largest television market. ALSO OF NOTE -- Former CBS11 early morning co-anchor Adrienne Bankert has landed a reporting job at KABC-TV in Los Angeles. She starts this week. Bankert left CBS11 on New Year’s Eve of last year after the station announced that veteran P.M. anchor Karen Borta would be replacing her in the mornings. She first joined CBS11 in June 2012. Bankert’s new job was first reported by the Fort Worth Weekly’s Blotch blog.